August 30, 2018 Ginger C.
Watch, listen and learn while our Instructor is teaching owners/students just like you to become professional farriers to serve you, the public. Attempting to trim and shoe on your own from books or videos shows you are interested but is no substitute than actual hands-on in an educational surrounding. Everyone wants to learn the right way. We offer a 1 and 2 day “A Healthy Trim Your Own Horse Class” and a 10-day Trim and Shoe Introductory Course.” The perfect opportunity for beginners with one horse, or a herd; when riding is your lifestyle, or you operate a horse business. Know more about what you ride, buy, sell, trade, breed, etc. 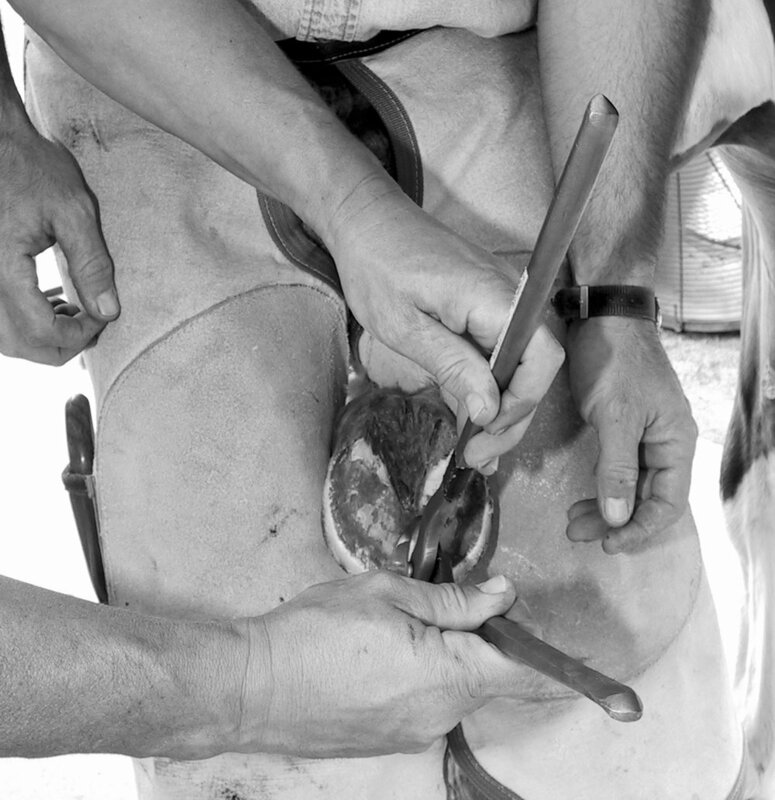 As farriers, we would like to see more people interested in Healthy Horse & Hoof Care Maintenance. Put it at the top of your horse priority to-do list. Maybe it’s on YOUR Bucket List ! I attended the two day trim course and the amount of knowledge I left there with, in just 48 hours, wow! I will never look at farriers the same. I was very impressed with the instructor, Link, his willingness to educate, the amount of knowledge he has, and his professionalism. I would highly recommend any horse owner, to take the time to educate yourselves on the most important part of our four legged creatures. I just wish I would have done this a long time ago! Well worth the travel, time and money!!!!!! !